Losing your keys or having your kids lose your keys can result in major frustration. This product feels your pain. It makes a quarter sized device that fastens to keys or remotes. As long as you have your smartphone or the device you can find it with a few taps of your fingers. You find your misplaced items every time in the last place you looked. The problem is how long till the last placed you looked happens and in the mean time life rolls on with appointments, work, and activities. Once attaching the sticker your smart phone can use TrackR, a distance indicator, or Crowd GPS to show the way to the item. Leaving a phone lying around has been a common issue. The TrackR device which fits on a key ring will send out a high pitched signal to alert you the phone is not with you. If the alert does not get your attention then the device sends a message to the TrackR website. If someone else with a TrackR device comes near, your device sends a message for that as well in the form of a GPS update. 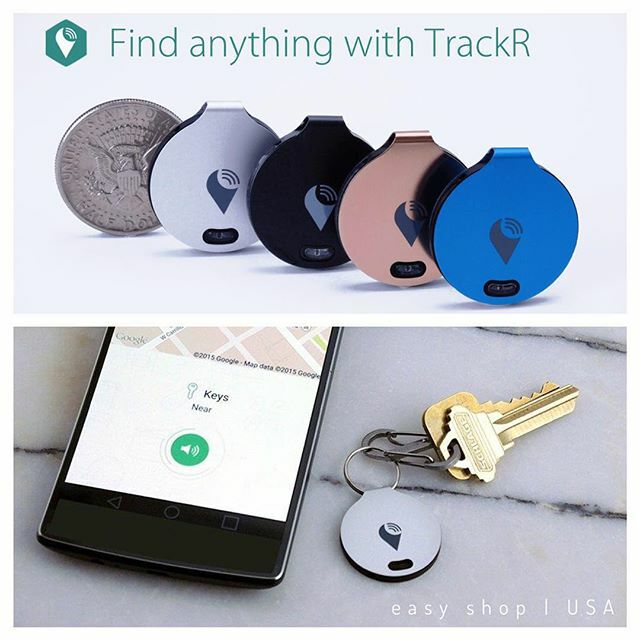 TrackR has ways to track multiple items on a variety of devices. As many items you have tagged with the sticker is as many items as a person can track. The app allows room for individual preferences. You can set different ring tones as alerts. The device is compatible with newer versions of iPhone, iPad, Android and works globally. A tablet or phone must be running the app in the background for tracking to occur. View, review, and engage this technology today.